Is the purpose of our existence to worship God? I’ve heard some Christians (generally Calvinists) say something to the effect of the purpose of our existence is to worship God. I hope this doesn’t sound blasphemous, but I find such a premise disturbing. It seems narcissistic to create beings to worship oneself. Why did God create us? I don’t have any great insights on that, qaz. I do feel that ‘worship’ of God can be done in all that we do, not ‘just’ admiring God - though truth be told, I can’t wait to do just that, to be in His presence, to share that Presence with people that I will see and understand and love as we are overwhelmed in the presence of the Creator, the fountain of all joy and truth and love. I can’t think of anything more wonderful. I get happy just thinking about it. All shall be well. Then whatever He has planned for us, as we are free from the fear of death, will not be drudgery but joy. I think the vocabulary of ‘heaven’ will be love joy peace patience gentleness goodness and other such words. We know those things in a miniscule measure now, if we are fortunate, but sporadically. To live infused with those things, free of fear or failure, will be worship indeed. don’t have any great insights on that, qaz. Even though I disagreed with J Richard Middleton’s thesis, I loved what he said about our purpose: We were created to work. I’ve long preferred understanding the reality of God as so secure that it’s not like God would need our bouquets or affirmation. Acts 17:25 says that it’s not “as if He needed anything.” Thus I can trust that God is in a position to give, but has no desperate need to use me up. But OTOH, if God is Love and epitomizes Goodness, then we might assume that God joyfully creates in order to securely share that goodness beyond Himself. And I find that when I praise or magnify to others something that I really dig, I then enjoy that blessing even more. Good point bringing up this verse. I’m still not sure what you think our purpose is, though. @davo what do you think is the purpose of our existence? I sense the implication would be to share in the joy of Goodness and relationship. That’s a fairly broad question. I’d say one purpose would be to… dress, till and keep the earth. There are many answers - philosophically and theologically - to the forum question. This Wiki article will highlight some. What is the meaning of life? 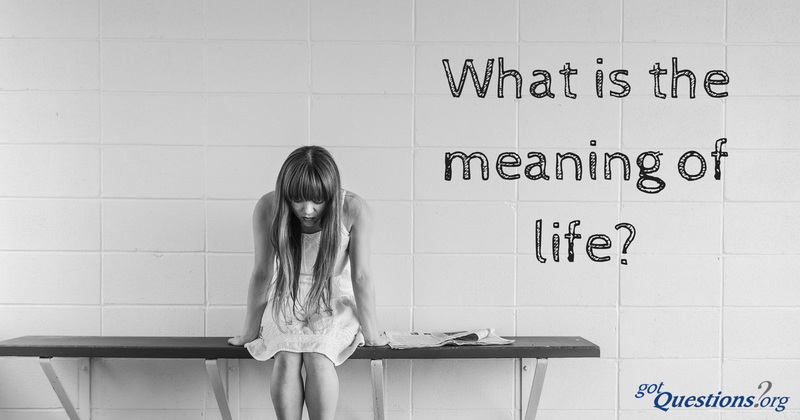 How can I find meaning in my life? Is life meaningless? 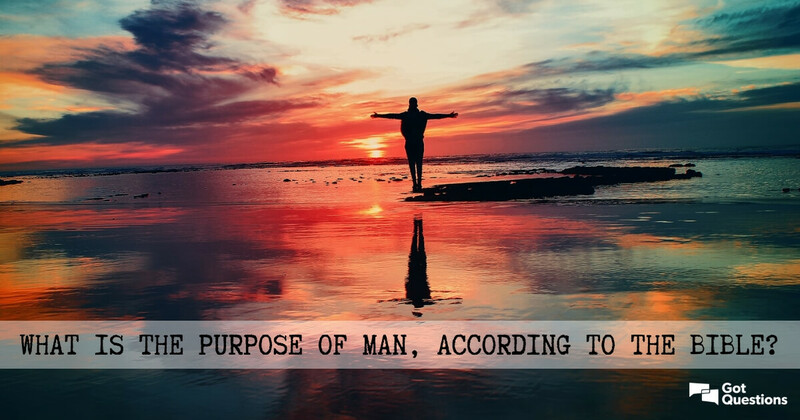 What is the purpose of man, according to the Bible? For what purpose did God create humanity? I’d say one purpose would be to… dress, till and keep the earth. That’s fairly good though I’d say that a 21st century view of it would be that the purpose is to help the creator create something of marvel… Art and building and creation are wondrous. God wants that from us. Not stagnation and living in the past. God loves boldness and inventive thoughts. Initiative and forward thinking. Thats my thoughts and I’m sticken to em.